Accompanying the present trend of engineering systems aimed at size reduction and design at microscopic/nanoscopic length scales, Mechanics of Dislocation Fields describes the self-organization of dislocation ensembles at small length scales and its consequences on the overall mechanical behavior of crystalline bodies. 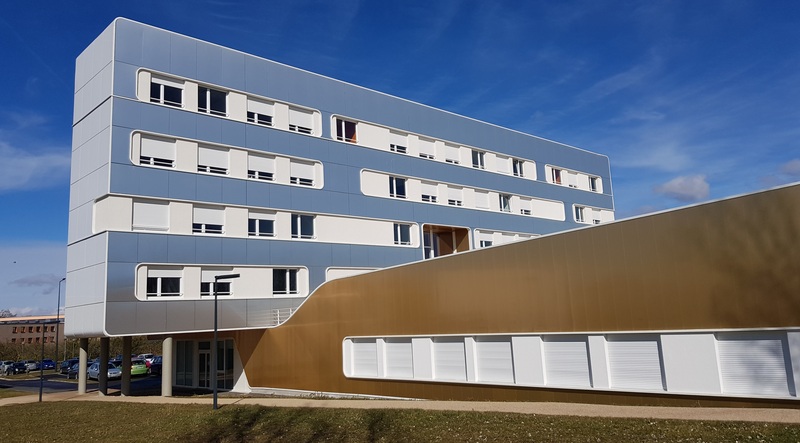 The account of the fundamental interactions between the dislocations and other microscopic crystal defects is based on the use of smooth field quantities and powerful tools from the mathematical theory of partial differential equations. The resulting theory is able to describe the emergence of dislocation microstructures and their evolution along complex loading paths. Scale transitions are performed between the properties of the dislocation ensembles and the mechanical behavior of the body. Several variants of this overall scheme are examined which focus on dislocation cores, electromechanical interactions of dislocations with electric charges in dielectric materials, the intermittency and scale-invariance of dislocation activity, grain-to-grain interactions in polycrystals, size effects on mechanical behavior and path dependence of strain hardening. 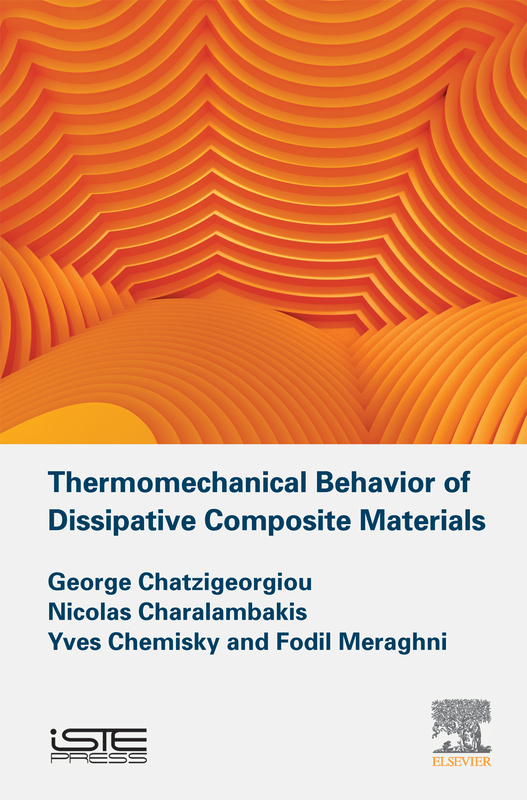 L’équipe SMART/LEM3 UMR CNRS 7239 (G. Chatzigeorgiou, N. Charalambakis, Y. Chemisky et F. Meraghni) a finalisé et publié un livre intitulé : Thermomechanical Behavior of Dissipative Composite Materials. Le livre est publié chez ELSEVIER et est préfacé par Yves Rémond (DSA-INSIS CNRS) et Dimitris Lagoudas (Texas A&M). 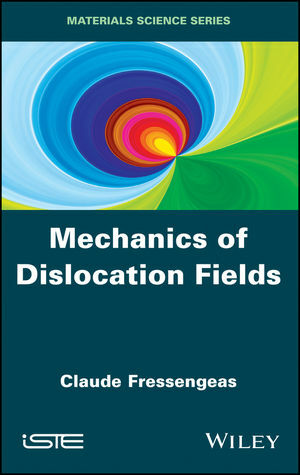 C. Fressengeas, Mechanics of dislocation fields, Wiley-ISTE (London), ISBN: 978-1-84821-375-3 (2017). S. BERBENNI, V. TAUPIN, C. FRESSENGEAS, L. CAPOLUNGO. A Fast Fourier Transform-based approach for Generalized disclination mechanics within a couple stress theory. Chapter 3, in “Generalized Continua as Models for Classical and Advanced Materials” (eds: H. Altenbach, S. Forest), Advances Structured Materials Series, Springer, 2016. G. D. SEIDEL, G. CHATZIGEORGIOU, X. REN, D. C. LAGOUDAS, Multiscale Modeling of Multifunctinal Fuzzy Fibers based on Multi-Walled Carbon Nanotubes. In: Modeling of Carbon Nanotubes, Graphene and their Composites. Edited by K. I. Tserpes, N. P. Silvestre, Springer Series in Materials Science Volume 188, pp. 135-176. S. BERBENNI, B. PALIWAL, M. CHERKAOUI. Continuum Modelling of Shear-Coupled Grain Boundary Migration. Chapter 3, in “Generalized Continua as Models for Materials with Multiscale Effects or under Multi-Field Actions” (eds: H. Altenbach, S. Forest, A. Krivtsov), Advances Structured Materials Series Springer (ISBN 978-3-642-36393-1), pp. 41-64, 2013. V. Taupin, L. Capolungo, C. Fressengeas, A. Das, M. Upadhyay, Chapter : A theory of disclination and dislocation fields for grain boundary plasticity, Generalized Continua as Models for Materials, H. Altenbach et al. (eds. ), Advanced Structural Materials, Springer- Verlag Berlin Heidelberg 2013. Daouadji, A.; Jrad, M.; Prunier, F.; Sibille, L.; Nicot, F.; Laouafa, F.; Darve, F.; Divergence Instability and Diffuse Failure in Granular Media, Procedia IUTAM, 3,105-130, 2012, Elsevier. Dislocation mediated continuum plasticity: case studies on modeling scale dependence, scale invariance and directionality of sharp yield point, C. Fressengeas, A. Acharya and A.J. Beaudoin, in Computational Methods for Microstructure-Property Relationships, Eds. S. Ghosh and D. Dimiduk, Springer-Science, 277-309, DOI 10.1007/978-1-4419-0643-4 8, 2011. S. BERBENNI, Internal length scale effects on the local and overall behaviors of polycrystals. Chapter 5, in “Mechanics of Generalized Media” (eds: H. Altenbach, G. A. Maugin, V. Erofeev), Advances Structured Materials Series, Springer (ISBN: 978-3-642-19218-0), pp. 99-136, 2011. Daouadji, A.; Hicher, P.Y. ; Chang, CS; Jrad, M.; Algali, H., Instability in Loose Sand: Experimental Results and Numerical Simulations with a Microstructural Model, Bifurcations, Instabilities and Degradations in Geomaterials, 13-31, 2011, Springer. G. ROBIN, Méthodes acoustiques auto-calibrées en émission-réception pour l'étude et le suivi des propriétés non linéaires des matériaux et l'imagerie, Thèse de doctorat de l'Université François Rabelais de Tours, 2011. N. CORDERO, S. FOREST, E.P. BUSSO, S. BERBENNI, M. CHERKAOUI, Grain size effects in generalised continuum crystal plasticity. In: " Plasticity of crystalline materials : from dislocations to continuum" (eds: I.R. Ionescu, S. Bouvier, O. Cazanu, P. Franciosi), ISTE-Wiley 2011, pp. 101-121. Mécanique des Champs de Dislocations, C. Fressengeas, Hermès Science Publishing (London), ISBN : 978-2-7462-2983-9, 2010. P. Forquin, F. Hild, A probabilistic damage model of the dynamic fragmentation process in brittle materials. Advances in Applied Mech. Giessen & Are feds. 44, pp. 1-72. Academic Press, San Diego, CA, 2010. M. A. Lebyodkin, T. A. Lebedkina, A. Jacques, Multifractal analysis of unstable plastic flow, Nova Science Publishers, NY, 2009, 86 pages. A. Guedri, B. Merzoug, Moe Khaleel and A. Zeghloul, Reliability analysis of low alloy ferritic piping materials, in: Damage and Fracture Mechanics Failure Analysis of Engineering Materials and Structures, Springer Netherlands, (2009) 33-42. Irene J. Beyerlein, Lászlό S. Toth, Texture evolution in equal channel angular extrusion, Bulk Nanostructured Materials, Eds. M. Zehetbauer, Y. Zue, WILEY-VCH Verlag Gmbh, (2009), pp. 387-421. M. A. Lebyodkin, T. A. Lebedkina, A. Jacques, Multifractal analysis of the unstable plastic flow, Progress in Materials Science Research, Nova Science Publishers, Ed. A.C. Venetti, NY, 2008, pp 9-61.